How growing populations compete for space: lessons from bacteria? Rosalind Allen is a reader in biological physics and a Royal Society University Research Fellow at Edinburgh University. She has a diverse scientific background, having studied chemistry at Cambridge University, followed by a PhD in theoretical chemistry, in which she used simulations to study the dynamics of water molecules, and a postdoc at the FOM-AMOLF Molecular Physics Institute in Amsterdam, where she simulated the dynamics of gene regulatory networks. In 2006 she moved to Edinburgh University, initially as a Royal Society of Edinburgh research fellow. Since then she has focused on understanding the population dynamics of microbial communities, motivated both by their importance in global biogeochemical cycles, and by the need to overcome the growing bacterial resistance to antibiotics. Her current work combines computer simulations, theory and experiments. 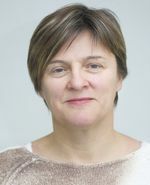 Wendy Bickmore is Head of the Chromosomes and Gene Expression Section at the MRC Human Genetics Unit, Institute of Genetics and Molecular Medicine at the University of Edinburgh. After an undergraduate degree in Biochemistry at Oxford, she obtained her PhD at Edinburgh University. During postdoctoral training, she became fascinated by the structure and organization of chromosomes in the nucleus and as an independent fellow of the Lister Institute of Preventive Medicine from 1991-1996 she went on to show that different human chromosomes have preferred positions in the nucleus, related to their gene content. As a tenured MRC scientist she then investigated how individual genes are organized and packaged in the nucleus and how they move in the cell cycle and during development. Current research in Wendy Bickmore's laboratory focuses on how the spatial organization of the nucleus influences genome function in development and disease. 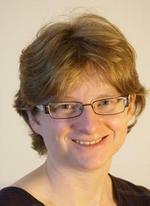 Wendy is an EMBO member and a Fellow of the Royal Society of Edinburgh and of the Academy of Medical Sciences. She is an editor on many journals including PLoS Genetics and Cell. PhD 1998, Statistical Physics, University of Freiburg. Postdoctoral at IBM Research, California and DKFZ, Heidelberg. Group leader at EMBL-EBI 2004-2009 and at EMBL Heidelberg since 2009. Ariel B. Lindner is a research director at the Evolutionary Systems Biology team at the French national biomedical research institute (INSERM U1001). 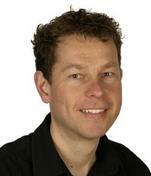 He is the co-founder of the Centre for Research and Interdisciplinarity (CRI) at Paris Descartes University. He was awarded a PhD (Weizmann Institute, Israel) for his work at the interface of Chemistry and Immunology, and joined INSERM after being hosted at the MRC (Cambridge, UK) and the Scripps institute (La Jolla, USA). His research efforts over the past 10 years are based on applying systems and synthetic biology approaches to the understanding of variability amongst individuals, of ageing and of cellular architecture. As a teacher and co-founder of the Interdiciplinary Approaches to Life Sciences master program harbouring students from over 15 countries, he mentored his students' award-winning participations in the MIT international genetically engineered machine (iGEM) competition. In parallel, he organized numerous workshops across the world, focusing on the development of learning through research across ages. Apart from his research work, he collaborates with artists to merge scientific and artistic research. 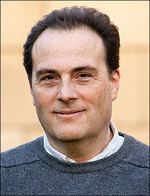 John Marioni is a research group leader at the EMBL-EBI, whose research focuses on developing computational tools for understanding the regulation of gene expression levels. He is interested in exploiting recent technological advances to study variation in gene expression levels at the single-cell level and is a member of the steering committee of the Sanger-EBI Single Cell Genomics Centre. Following a PhD in Cambridge under the supervision of Simon Tavaré, John pursued post-doctoral research in the Department of Human Genetics at the University of Chicago under the guidance of Matthew Stephens, before establishing his own group at the EMBL-EBI in September 2010. Karen Page is a mathematical biologist. She has worked at University College London since 2001 and is currently a Reader in the Department of Mathematics. Her research interests are in mathematical modelling of developmental and evolutionary biology. Benjamin Simons holds the Herchel Smith Chair in Physics at the Cavendish Laboratory in Cambridge and is an associated at the Wellcome Trust-CRUK Gurdon Institute. Since gaining his Ph.D. at the Cavendish in 1990, he has held postdoctoral positions at the Massachusetts Institute of Technology and NEC Research in Princeton. Having briefly held a Royal Society Research Fellowship at Imperial College, he transferred to Cambridge in 1995. His research interests include strongly correlated quantum systems, mesoscopic and ultracold atom physics, and the exploitation of methods of statistical mechanics to the study of biological systems.